What is Ford ECOnetic Technology? Ford Motor Company continues to put a huge amount of energy into developing new technologies which are more efficient. As fuel prices continue to increase, by developing technologies which require less fuel and have a smaller impact on the environment, the total cost of ownership for Ford customers goes down. Ford ECOnetic technology covers a variety of innovative technologies within the Ford car and van range which work together to make Ford vehicles more durable and fuel efficient. Most obvious is the award winning Ford EcoBoost engine. 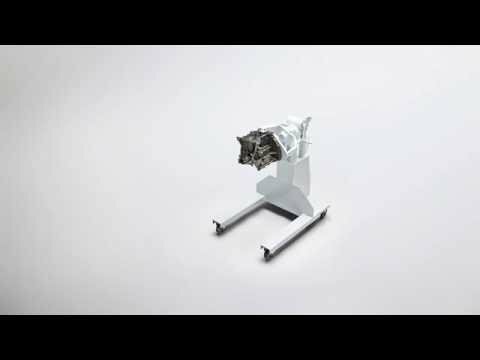 At the size of an A4 piece of paper, this three cylinder engine offers competitive power outputs whilst providing drastically less emissions and marked increases in fuel efficiency. The EcoBoost engine is available in a variety of sizes, helping to power the latest generation of Ford vehicles including the new Ford Focus ST and even the up-coming Ford GT supercar. Ford Duratorq technology powers the diesel range of engines within Ford vehicles. These utilise the latest engineering to produce class leading MPG figures giving you more miles between fuel stops. In addition, the Ford PowerShift automatic gearbox helps to choose the most efficient gear for the situation, helping to squeeze even more mileage from your fuel. To find out more about Ford Technology, contact Birchwood Ford today.